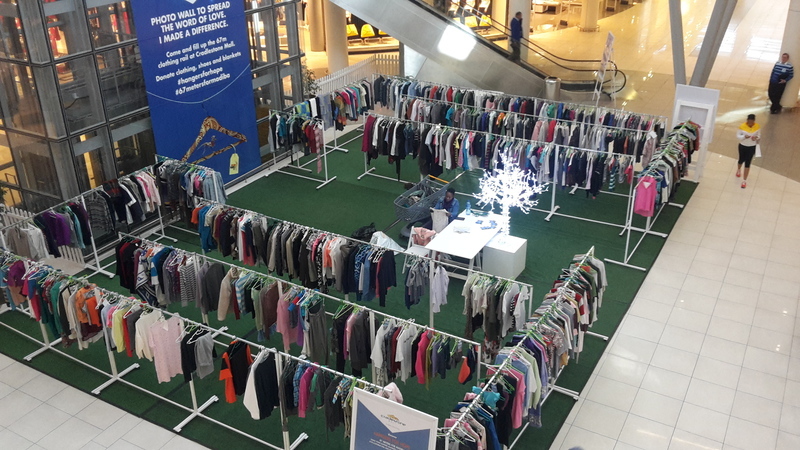 Hangers for Hope was an overwhelming success and we cannot express how grateful we are for all the incredible donations we received over the month of July. 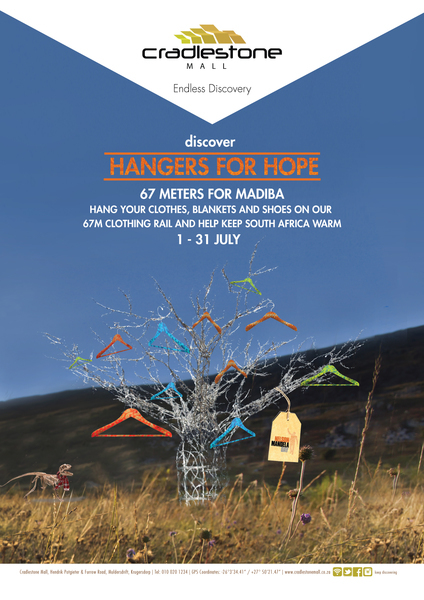 When we embarked on this campaign, our aim was to collect 67 meters of clothing to be donated to the less fortunate in celebration of Mandela Day. We are so pleased to announce that not only did we manage to collect 67 meters, we infact doubled it. 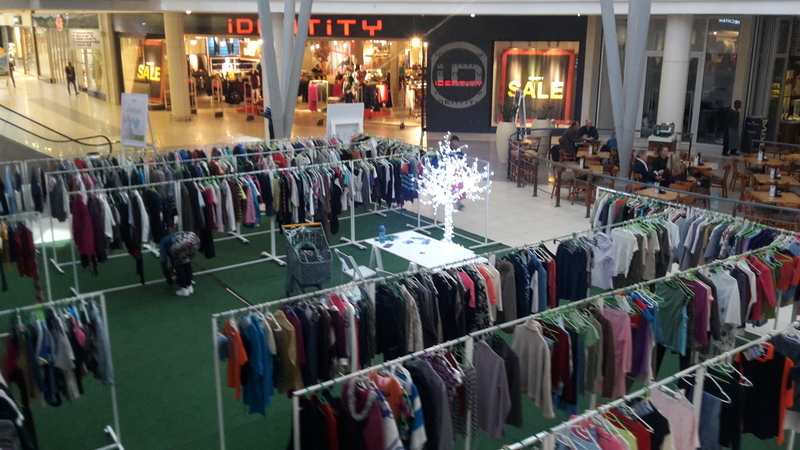 Cradelstone Mall managed to collect close to 100 boxes of clothing which have been donated to much needed charities and organisations in and around the Krugersdorp area. Thank you so much to each and everyone who made this campaign such a wonderful success and for making a difference in someones life.